ST. LOUIS, March 19, 2015 -- Build-A-Bear Workshop®, is celebrating the arrival of spring with its 2015 Easter Collection. The Easter line features an assortment of customizable furry friends with unique personalization options, from sounds to accessories. 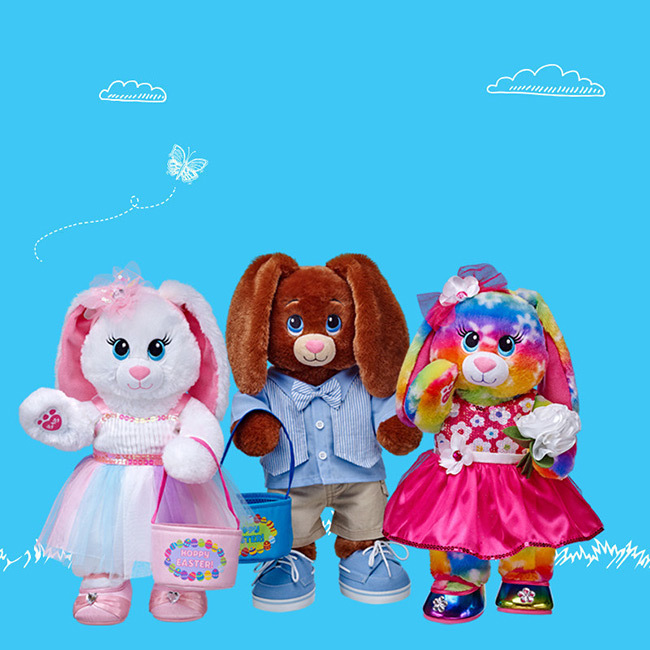 Build-A-Bear's bunnies - starring Bright Blooms Bunny, Chocolate Bunny and Marshmallow Bunny - are available fully accessorized or custom-made with a variety of accessories, such as miniature Easter baskets, bouquets and even bunny ears headbands. 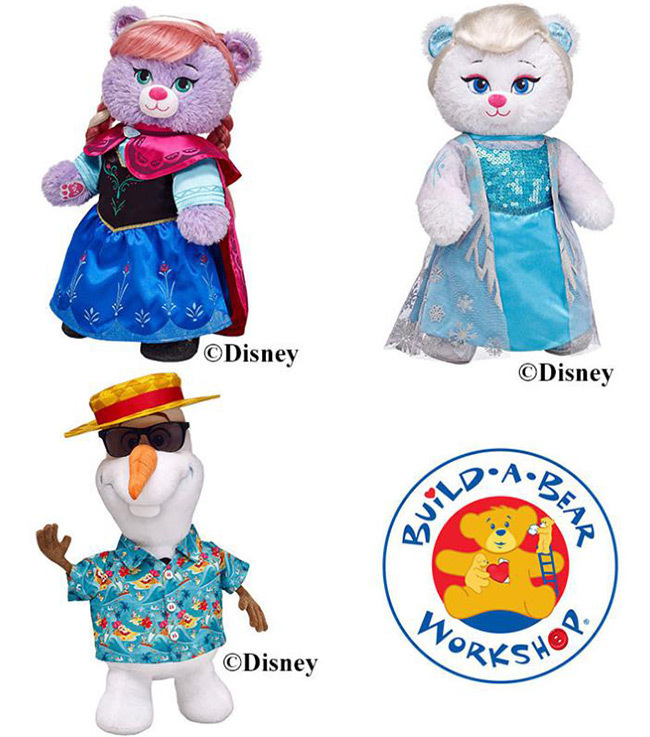 These 16-inch furry friends start at $18 and can be further personalized with a Build-A-Sound® message, which guests can record in-store or over the phone. ST. LOUIS -- March 26, 2013 -- Build-A-Bear Workshop®, the interactive entertainment retailer of customizable stuffed animals, is bringing the magic and friendship of the MY LITTLE PONY brand to Guests everywhere with a collection of characters under license from Hasbro, Inc. 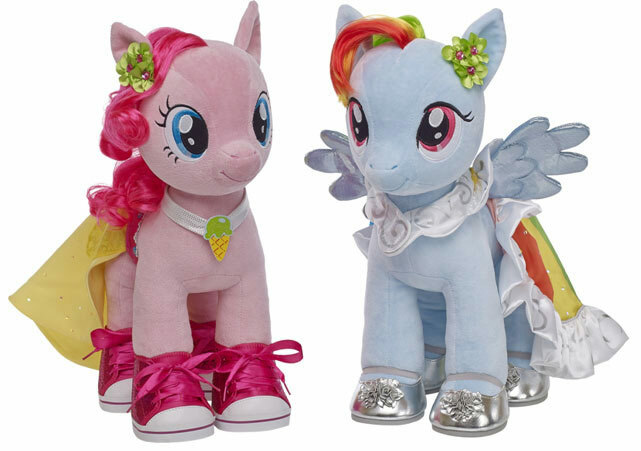 Arriving April 1, PINKIE PIE and RAINBOW DASH ($24 each) will be available at Build-A-Bear Workshop stores throughout North America and online at http://buildabear.com ®. The first ever make-your-own MY LITTLE PONY plush allows Guests to engage with these iconic characters in new and exciting ways at Build-A-Bear Workshop and uniquely personalize PINKIE PIE and RAINBOW DASH like never before.